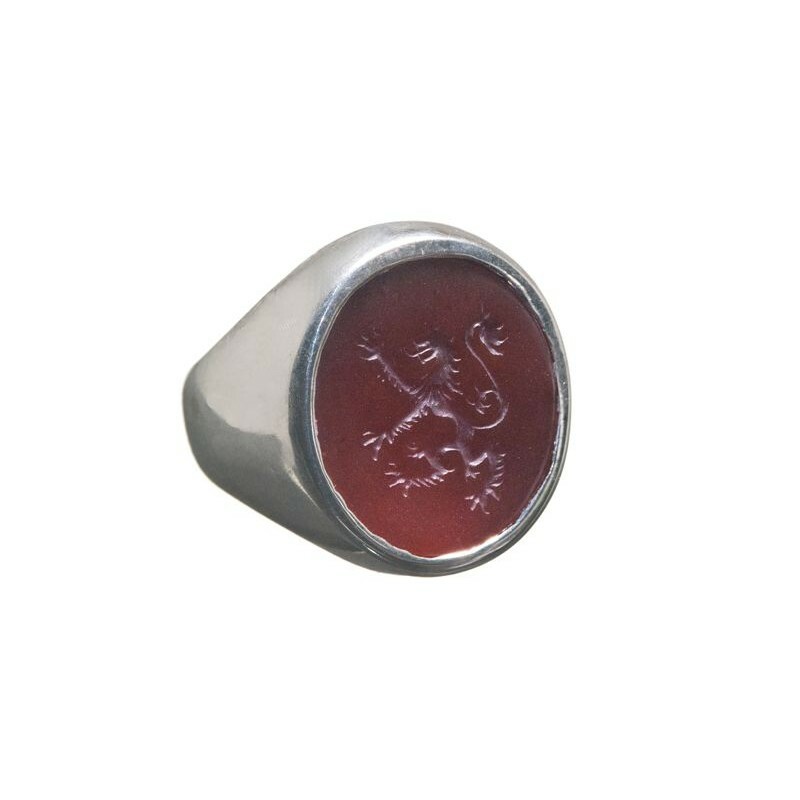 This sealing Ring of the signet variety is engraved intaglio to an oval of Red Agate. 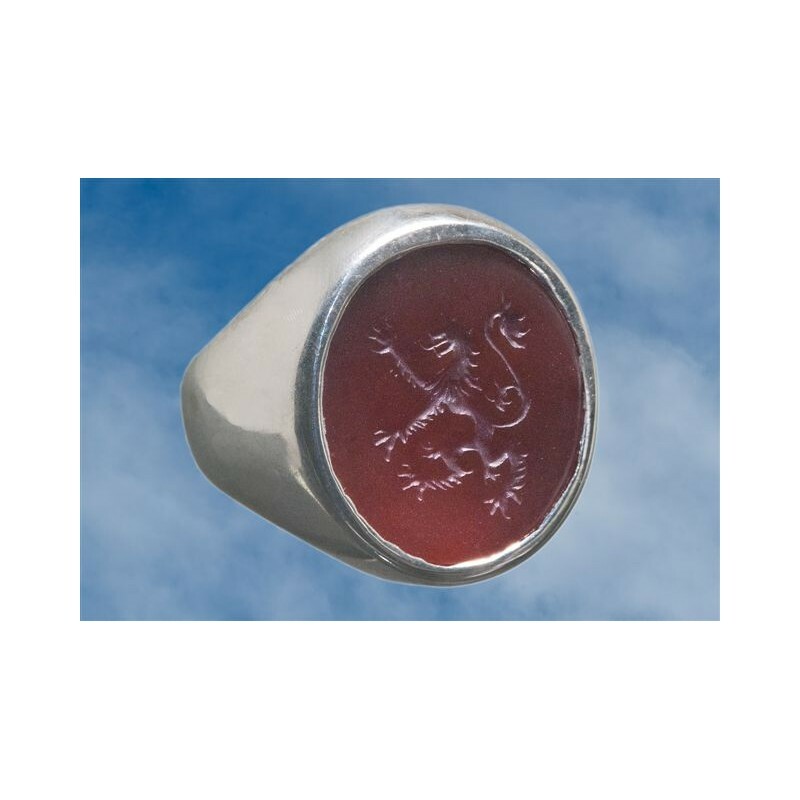 This is an heraldic, Family Crest Lion design which is both timeless and relevant. 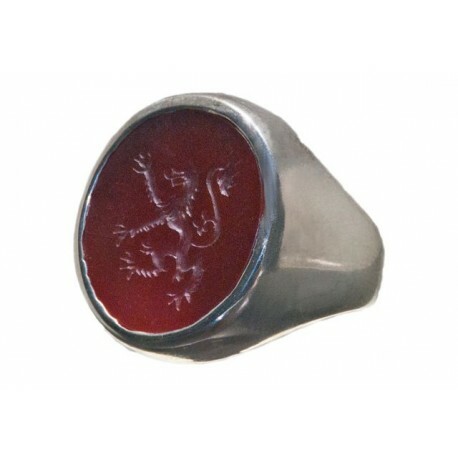 This is a sealing ring with an heraldic family crest lion hand engraved to Red Agate. 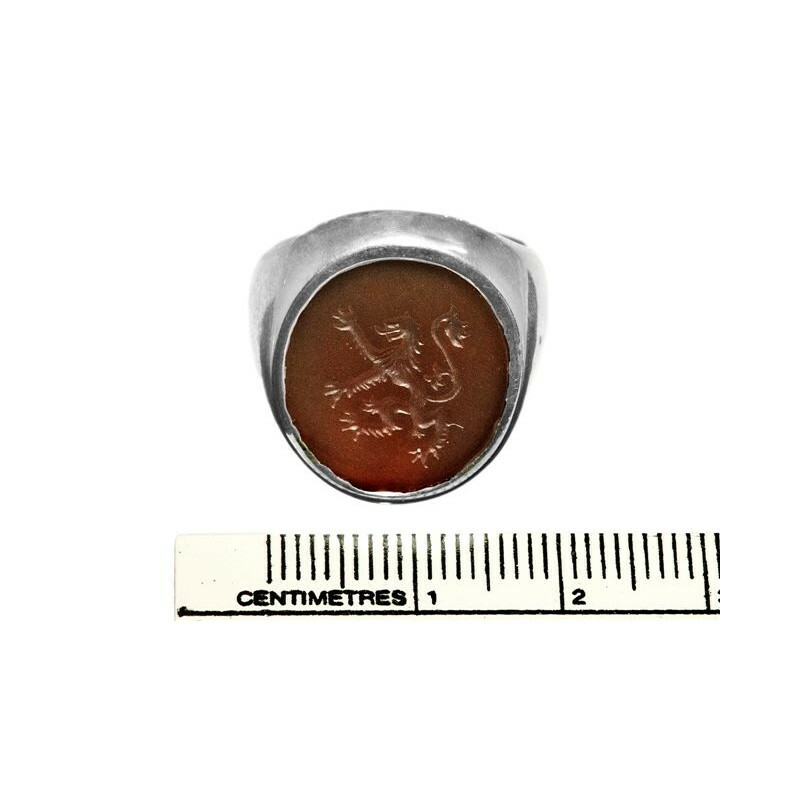 This man's ring intaglio lion rampant with plain shoulders in sterling silver can be used to seal letters and documents. 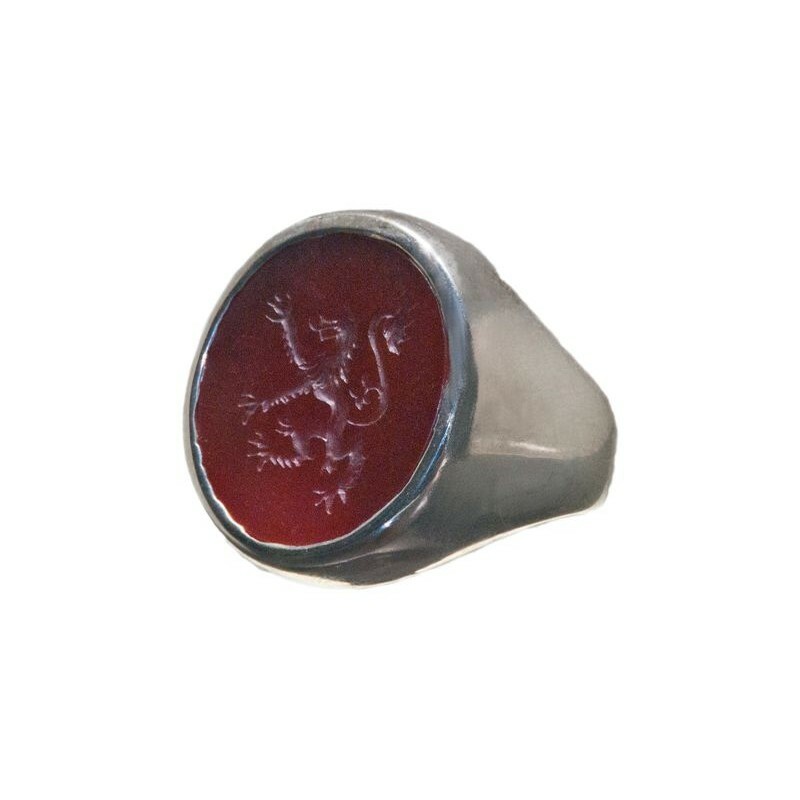 The red Agate measures 18 x 16mm (11/16 x 5/8 inches), one of our small to sized heraldic rings. 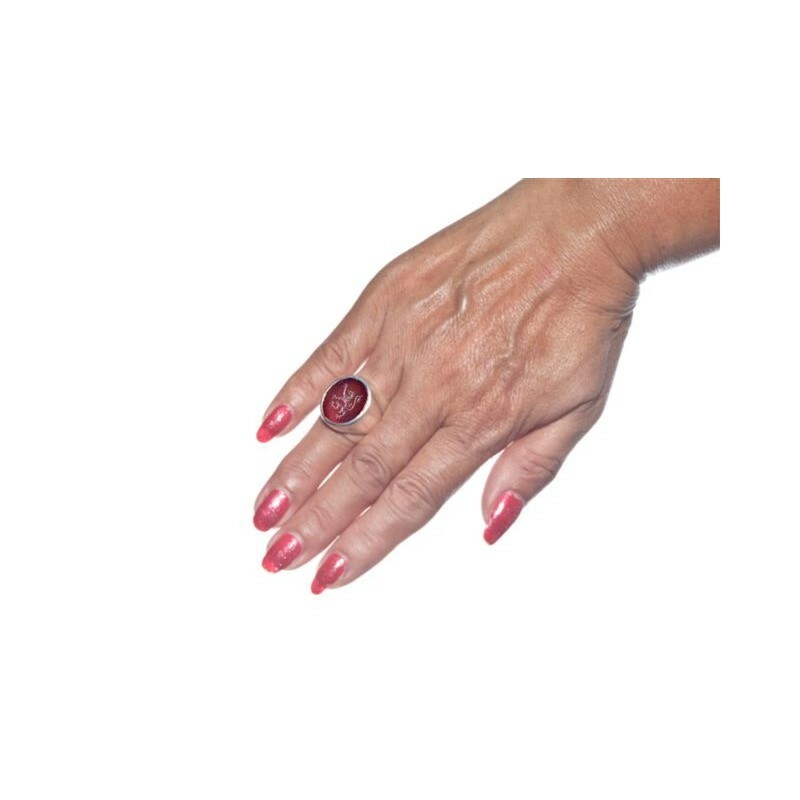 A good size for ladies also. 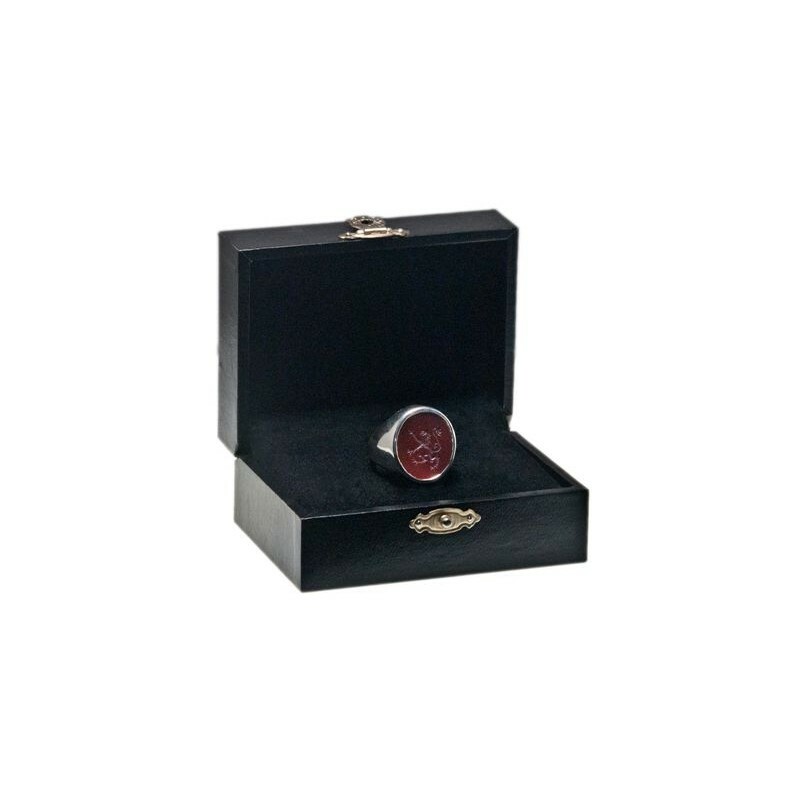 That's why this high quality sealing ring so affordable.